Rabit - Life After Death. Vinyl LP. Bleep. Just under a year on from his Les Fleurs Du Mal LP and Houston’s very own follows it up with Life After Death. 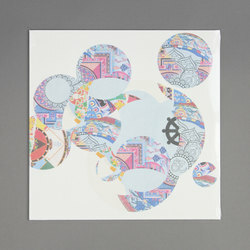 This record sees Rabit moving even further into the world of sound art and music concrete. The frenzied club sonics of his early work have been gutted and only a few grizzled synth sounds remain. On Life After Death they are set adrift in a world of slow-mo samples, chopped and screwed beats, electro-acoustic compositions and broken music box interludes. The overall effect sounds like what might happen if DJ Screw ever got his hands on some Oval.